Mrs. S. and I love to explore the places where we are, so we do a lot of walking. In our new neighborhood, we recently discovered the sidewalk to nowhere. It begins across the street from our granddaughters’ school and curves off along a canal into a large, vacant tract of land. The whole area is still under development, but what, we wondered, is the purpose of this sidewalk? What is its destination? So one day we decided to follow it. The sidewalk runs along that stagnant canal and through an area that has become a dumping ground for excavated dirt, and trash and debris. There is a hint at least of clandestine activity out here—discarded beer and liquor bottles, and broken, abandoned things. Stolen, perhaps? Is that why there’s an abandoned grocery cart in the canal? The sidewalk ends in the dirt (or mud, in season) about 50 yards from a back street in an industrial area. Is this walkway part of some developmental master plan? Who knows. Right now, it’s just a useless side trip. This path makes me wonder how many sidewalks to nowhere there are in my life. When I choose to do something that I know God does not want me to do—when I sin willfully—I know I am taking the sidewalk to nowhere. The path is going to end in disappointment and worthless trash, and I run the risk of getting lost, unable to find my way back. But what about the times when I simply have not thought out my course? Would I choose this path if I knew from the beginning that I would find only trash along the way and a nasty mud hole at the end? What about the times when I set out on the path to acquiring more money or things? Has that ever ended in any lasting happiness? What about the times when I set out to justify myself? “I was right and she was wrong.” “That other driver was a careless jerk.” “What I should have said to him was . . . .” There’s nothing worthwhile at the end of that path. What about the times when my attitude was, “Father, I can handle this by myself”? When did that ever turn out well? Standing here at the beginning, I can choose to follow this path, or I can turn to the right or left on one of the routes that lead to places of fulfillment—places where I can learn, and love, and be with family. They will be places where I can serve, instead of simply passing time. If I choose the right path, ultimately it will take me Home. This entry was posted in Culture, Faith and tagged abandoned things, family of God, Jesus Christ, Love, mud hole, path, Pride, service, sin, stagnant on April 25, 2016 by Don L. Searle. It is the middle of an August afternoon in southern Arizona and the temperature outdoors hovers, as usual, at a few degrees over 100 Fahrenheit. 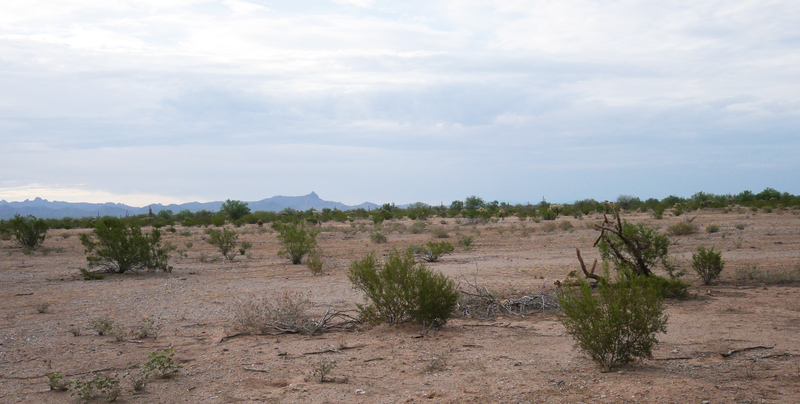 At the edge of this small town there is nothing to be seen but cactus, sand, and scattered small bushes. The view could hardly be more forbidding. Sometimes when I come here I wonder if the people who own the large homes in town ever look out their front windows. Do they realize where they live? To a visitor, this looks like the land of saguaro, sagebrush, and scorpions. And yet . . . the desert has its own stark beauty. It can have magnificent sunrises and sunsets. The open sky overhead at night can be a thing of wonder. And there is always beauty to be found even in the desert when you look closely—in the distant blue mountains, in a cactus bloom, in the yellow and orange flowers on one bush that crops up often, particularly in some of the nice xeriscape yards. (I do not know its name. The truth is that even though I think plants are lovely, I have largely a nodding acquaintance with them.) Where people have planted those strategically, the bush adds a nice touch of life to an otherwise bleak landscape. I have known people like that—people who bloom in bleak settings, who bring life and hope in places where no one would think it could thrive. Santa Fe is a very poor barrio just below the airport in Guatemala City. It was originally built by squatters who simply took over the land and constructed adobe houses on it. It is the kind of place where some buildings are combinations of plastered adobe and rusty sheets of corrugated iron. It is the kind of place where many people have no hope because they have no work, and where drug gangs need have no fear of the law. One teenage boy I met there spent months recovering from gunshot wounds after he threw his body over that of a little girl in the neighborhood store to protect her in a drive-by shooting. Santa Fe is the kind of place that seems to have many exits but no escape. May God bless those who bloom in the desert, bringing life in an otherwise bleak landscape because their roots draw nourishment from the Source of living water. And may He bless me to be more like them. 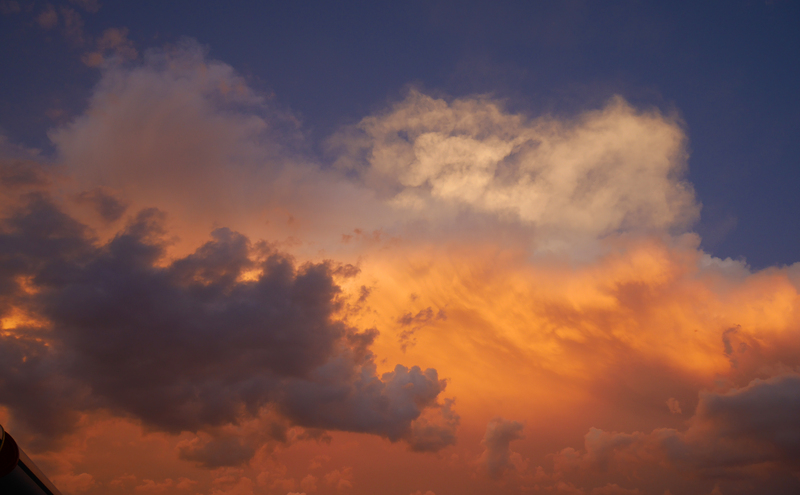 This entry was posted in Faith and tagged Arizona, bleak, Bloom, desert, Love, love thy neighbour, service on August 27, 2015 by Don L. Searle. Yakov Smirnoff knows what it is to be a true American patriot. The Russian comedian, who immigrated to the United States in 1977, has a deep love for his adopted country. He is known for his signature tag line: “What a country!” But through the years he has put his heart and his money where his mouth is. Yakov is a talented artist. Many of his paintings pay homage to the U.S.A. Not many people know that in the wake of the tragedy of September 11, 2001, Yakov spent a very large amount of his own time and money to produce and put into place a huge artistic memorial overlooking the site of the Twin Towers that had gone down. He did it anonymously because his name is associated with laughter, but he wanted to express solemnity and reverence at the tragedy, as well as his own hope and love for America. 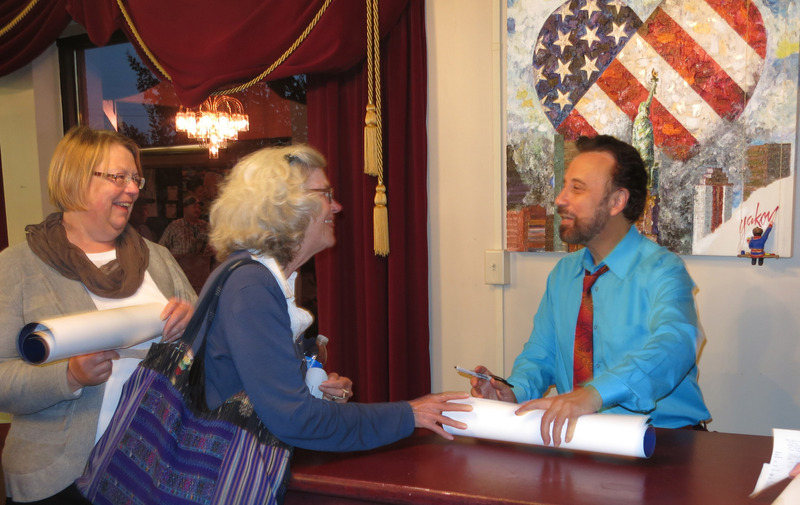 You might think I’m giving a plug to his one-man show that we saw recently in Branson, Missouri. You’d be right. As they say in online product reviews, “Yes, I would recommend this to a friend.” Along with a generous dose of entertainment, his show offers some good advice about building strong relationships with the ones you love. (Would you believe laughter is a key?) Optimism about America comes through strongly. A caveat here: there was sexual innuendo in some of his jokes that I felt was unnecessary. I attributed this to the fact that our backgrounds are very different and that many in the entertainment industry seem to expect this of comedians. After my initial reaction (“Is blue ‘humor’ really necessary for such a talented man?”), I tried to look deeper into the ideas he was expressing and their motivations. He reminded me of some of the reasons I am grateful for the country where I was born and where I live. 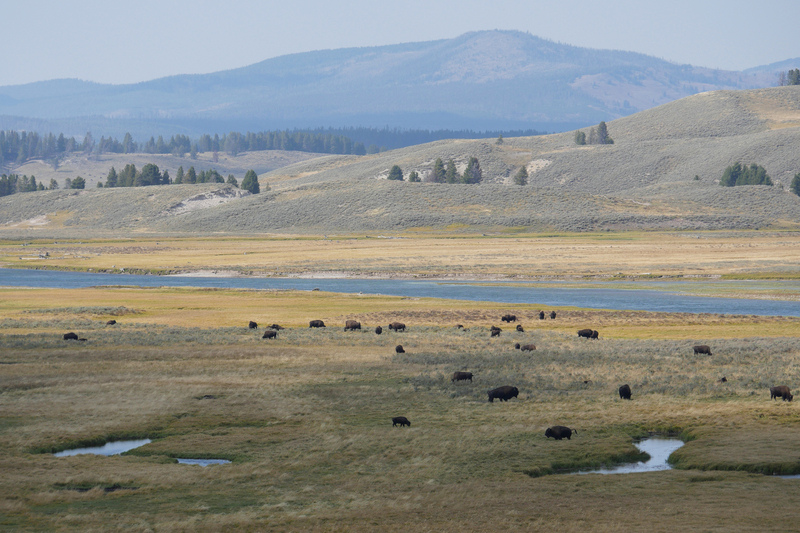 Beautiful spacious skies over Yellowstone National Park. Over the past few months, Mrs. S. and I have had some great opportunities to appreciate the words: “O beautiful for spacious skies, for amber waves of grain, for purple mountain majesties above the fruited plain . . . .” We’ve seen them in Montana, Idaho, Wyoming, Nebraska, Iowa, Kansas, and Missouri. During my lifetime, I have been blessed with the opportunity to visit six continents. But never have I seen anything to match the beauties of my home country. Then there is freedom to choose our leaders. In our own home state and in the Midwest this fall, we saw hotly contested, sometimes vicious election campaigns with charges of indifference to voters, malfeasance, even criminality in office. The acrimony was painful. But in this country we have viable choices of candidates who may share our personal philosophies. I am reminded that there are literally billions of people on the earth who enjoy no such choices. I have lived in countries where the outcome of elections is always a foregone conclusion—or where there are no elections at all. We live comparatively secure lives here. Mrs. S. and I spent 18 of the last 24 months living in Central America. For a hobbyist photographer like me, there were opportunities to see beautiful, fascinating things I loved to photograph. And yet I often dared not carry sophisticated camera equipment that would have allowed me to make photographs or video of the quality I desired. Carrying it in some areas could have put our lives or safety in jeopardy. We drove a car with tinted windows that prevented would-be robbers or kidnappers from seeing who was in the vehicle, or how we might be dressed. It was a blessing to come home to our country and be able to move about freely without worrying about malevolent, greedy eyes around us. There are many people in the world who hate our country, who would like to destroy it. Why? Because in this country we have choices. We do not have to live the way they dictate. Worse, people who live under their rule are able to see or sense the differences, and they long to enjoy the freedoms Americans have. That makes this country a threat to the power of terrorists and other would-be dictators. The United States of America is seen as the hope of something better. That in itself is a blessing to the world. It is something that an art professor-turned-comedian saw decades ago living with his parents in an overcrowded apartment in the Soviet Union. He saw hope in a new home across the ocean. Now he teaches in his theater show that we all see that which we seek. If we look for hope and optimism, we will find it. And it is much easier to find in this country than almost anywhere else in the world. This entry was posted in Culture, Faith and tagged America, hope, laughter, Love, optimism, Yakov Smirnoff on November 24, 2014 by Don L. Searle. The little girl’s behavior is “problematic.” She is often a problem in Church meetings. The concept of reverence in the church building and in meetings has somehow escaped her, or she has not been taught it. I have found myself wishing sometimes that her mother, or someone, would take her in hand so that she does not disturb others in meetings. Sister S. has seen her behavior at its worst in church. My companion, who enjoys teaching music to little children, goes into the Primary meeting on Sunday to help them learn songs of Jesus and His love for them. This is a challenge and a sacrifice for my wife because she is still struggling to learn Spanish. But she loves to teach the children, and they respond. During singing time they usually pay attention and behave well. At other times, it is a different story. The behavior of the children when they are not singing would often be considered rude or disrespectful. They grab or hit others, get up and wander about, and sometimes ignore adults who are trying to teach them. The six-year-old of whom I am thinking has been one of the chief offenders, even though her mother is the president of the Primary and often is the one who suffers because of her behavior. The child seemingly does not know what it is to respect adults. So I was surprised on Sunday when she wandered into the room where I was making preparations for the meeting and sat down at the small table with her pencil and paper. Soon she asked me, while I was busy with my task, how to spell a name. Looking over her shoulder, I could see that she was writing her surname, one that is a little long and a bit more difficult, so I stood and helped her as she asked me letters until she finished. She took her paper and left, and I went back to my task. I thought nothing more of it until Sister S. and I were sitting in the chapel waiting for the meeting to start. The little girl approached us a bit shyly and held out to my wife a piece of paper that had been folded into a small rectangle. Sister S. carefully unfolded it. 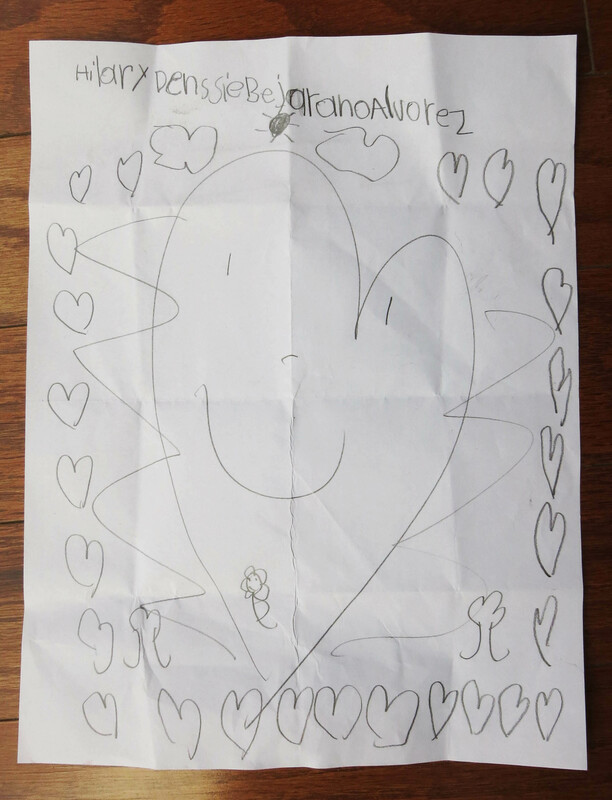 This was the piece of paper on which the little girl had written out her name—but she had added a large smiley-face heart surrounded by many other hearts. Sister S. thanked the little girl in her best Spanish and hugged her. The little girl smiled and went happily on her way. I do not know or understand all the factors that may affect this particular little girl’s unruly behavior. But I know that she loves in a way that I need to learn to emulate. Who can judge the heart of a child? Not I. Can I be as a child in my heart? Can I accept the Lord’s teaching and shaping as a child? Ah, that is the challenge, isn’t it? This entry was posted in Faith and tagged child, Love on August 17, 2013 by Don L. Searle.